There's no better way to feel rested and rejuvenated than taking a vacation. 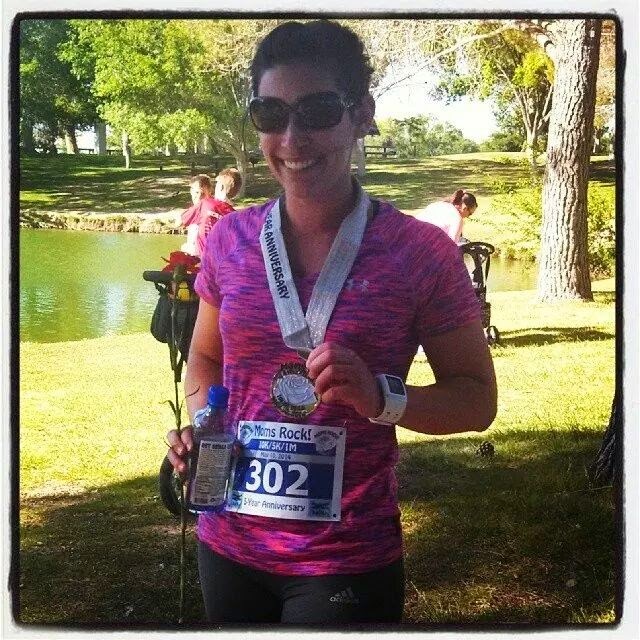 I love exploring new cities and states, especially if I can sneak a race in there somewhere--which I did! Each of these attractions lived up to all the hype and anticipation we attributed to them. The day we got there, first thing we did was hit the pools. Mandalay Bay offered 6 pools to course from: two party pools, a lagoon (standard pool), a kiddie pool, a wave pool, and a lazy river. The kiddie pool and wave pool were surrounded by a sandy beach. I loved the beach! It was like escaping to a tropical paradise and reminded me of the California beaches I grew up with. June had a blast swimming with her daddy and walking in the sand. I insisted on the scary shark picture. 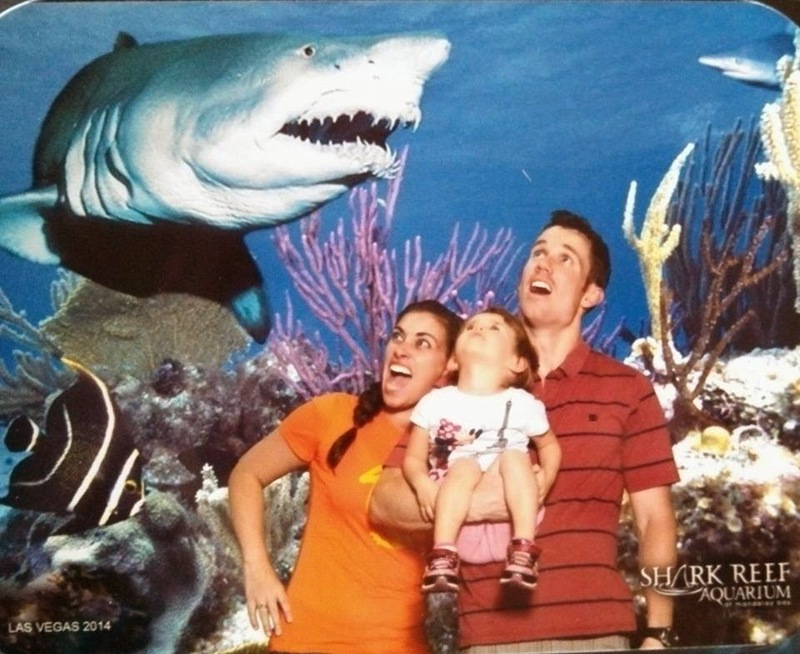 June has had a strange fear-fascination with sharks for a while now. She maintained a safe distance from each of the aquarium windows, but with each sub-sequential exhibit, she moved closer and closer until she had her face up to the glass. 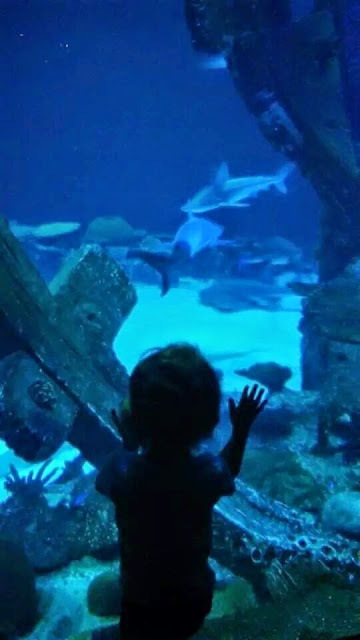 Although she seemed very wary of the shark reef at first, by the end she proudly declared, "Mommy, I'm not scared of the sharks anymore!" 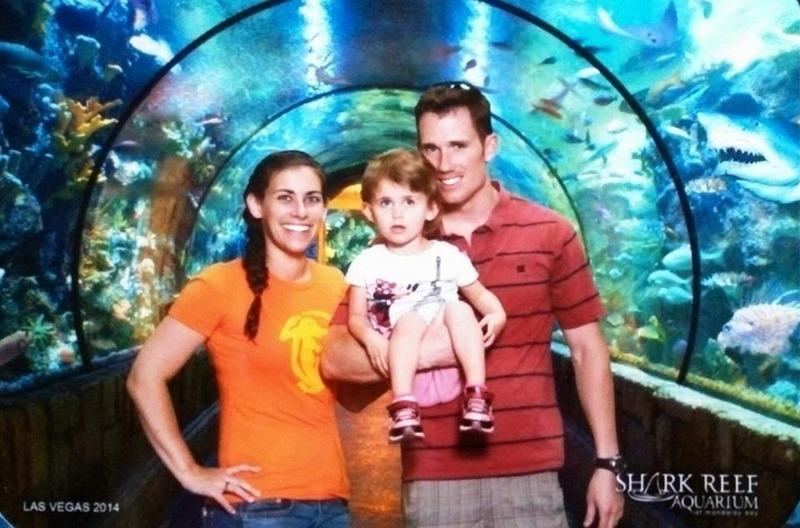 This was a fantastic shark exhibit! Not only sharks were featured either; there were also crocodiles, snakes, piranha, eels, all manner of fish, jelly fish, octopus, stingrays (that you could pet), crabs...you name it! The displays were obviously well cared for and were aesthetically appealing. 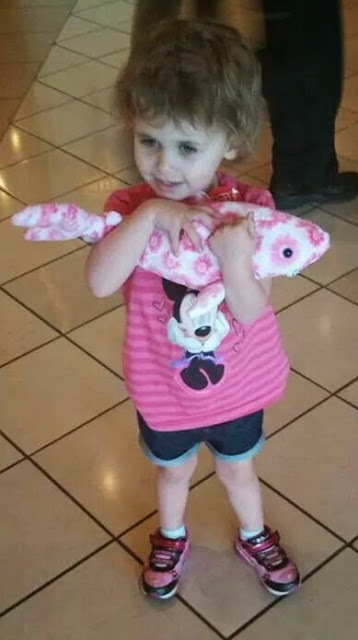 June demanded she receive a pet pink shark upon the end of our visit, which we gladly obliged. By the way, she named her shark Flower Girl. We ate so much delectably delicious dishes during our stay! The seafood at the RM was incredible--by far the best seafood I've ever had. Travis insisted we eat there so he could enjoy the best oysters imaginable. We had the Mother's Day 4-course special at Nine Fine Irishmen consisting of a bacon-potato soup, wedge salad, prime rib with roasted root vegetables, and I had a gluten-free strawberry shortcake. Phenomenal. No food excursion would be complete without a trip to Chipotle, Travis' all-time favorite restaurant. I dragged myself out of bed early early Saturday morning to run the Moms Rock 10K. 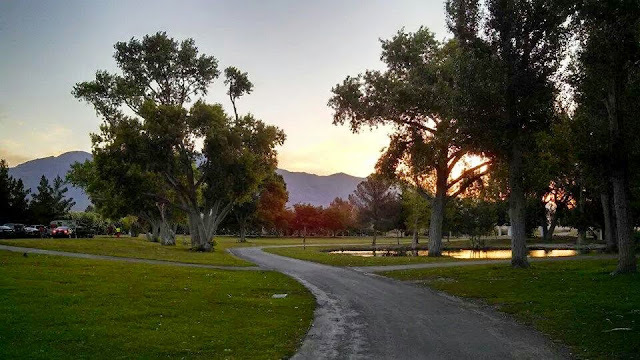 The race was held at the gorgeous Tule Springs state park. Ponds, green grass, and trees were everywhere. The race itself took us through the park and around it's desert trails. 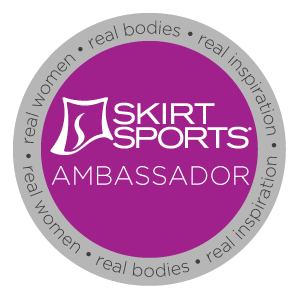 I felt like I was running in two distinct locations due to the extreme change landscape. Aside from the unexpected 25-30mph wind sustained from mile 4 to the finish line, the weather was great. That wind and the trail course (I didn't read the race description through and assumed this was a roadrace) led to a slower finishing time for me, but I'm still happy with my time of 1:08:16 especially since I placed 4th in the 20-29 age group. Upon finishing, I received a beautiful medal and a red carnation. All in all it was a well done race. Sporting my newest race medal! That Sunday was Mother's Day. 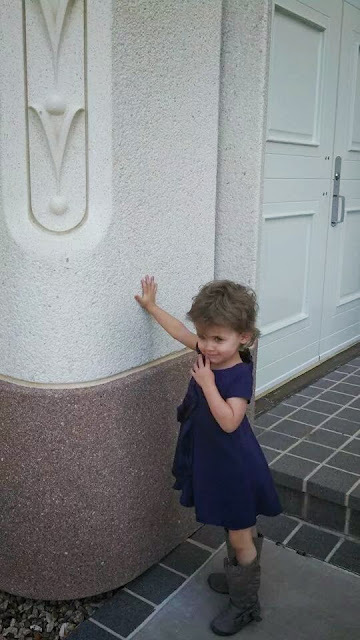 First thing June and I did was go to church. 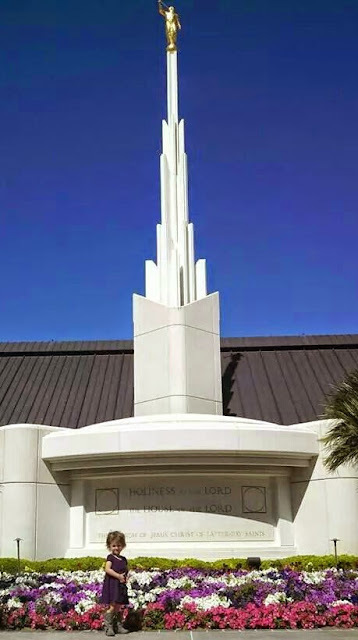 Since I wanted to see the Las Vegas temple, we found a ward that met right next to the temple site! We arrived an hour early so we could walk the temple grounds, take in the peaceful spirit synonymous with the temple, and take plenty of June pictures in the picturesque landscape. 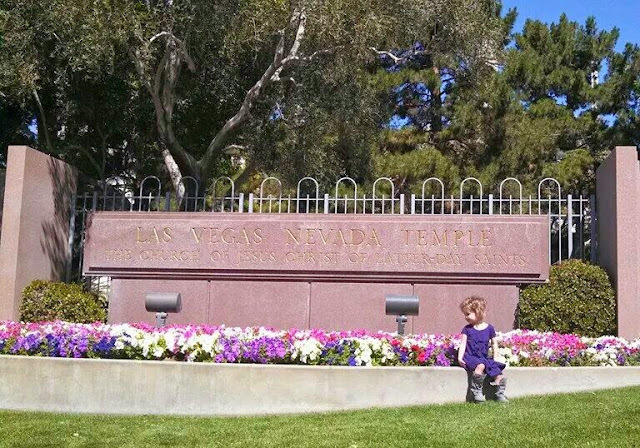 June really wanted to touch the temple, so I got a picture of her doing just that. The ward was so inviting to us! June loved her nursery class and made some new friends. I also had the opportunity to meet some personable members. The Bishopric was incredible and passed out Mothers Day chocolate bars to each of the Relief Society sisters and all women in the ward. I can never turn down chocolate. 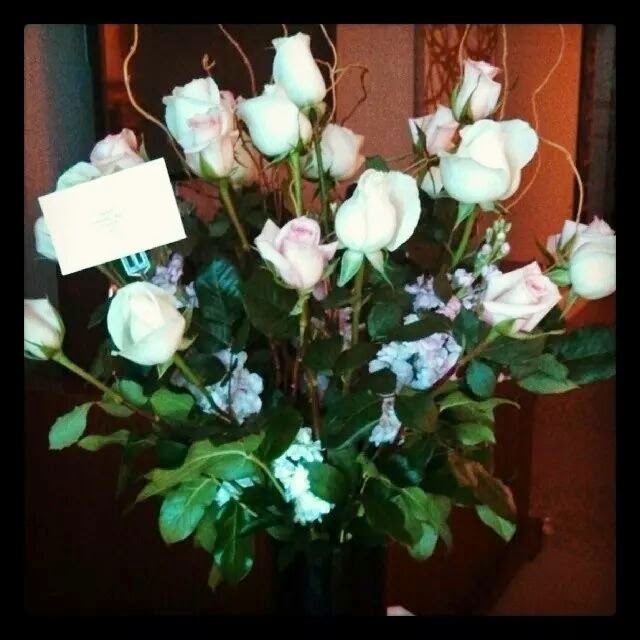 When I got back to the hotel room, I was met with an intoxicating fragrance and the most beautiful bouquet of white and pink roses I've ever beheld. Travis not only got me these gorgeous flowers, but he also scheduled me a Mother's Day massage. I was so surprised and taken aback by these thoughtful gifts. 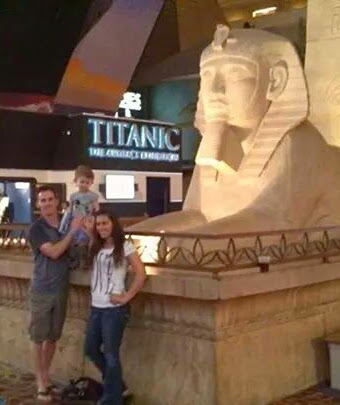 The culmination of the excitement of Vegas, family activities, a thoughtful husband and snuggly toddler, delicious cuisine, light of the temple, and race day adrenaline all equated to be the best Mother's Day I've ever experienced.